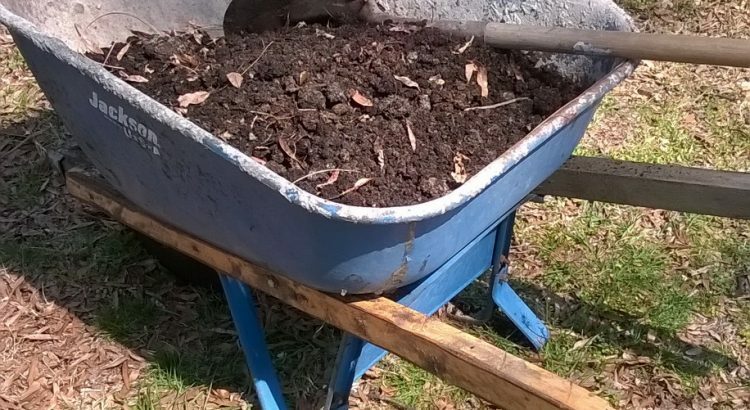 I was in the backyard a few minutes ago moving compost around and realized that the old wheelbarrow I was using was a multi faceted recycling example. Some friends of mine discarded it years ago I suppose because the tire kept going flat. It is commercial grade and a little pricey new so I jumped on it and have used it for years. I improved the seal of the tire on the rim by applying petroleum jelly, I trick I learned many years ago. When the tire gets low I simply pump it up with my compressor. The left arm broke last year so I milled a piece good enough for government work from a small tree I had already felled. It still works like a champ. An example of keeping a perfectly useful wheelbarrow, felled tree and compost components from the landfill. Two high capacity Clivus composters are located in a utility room behind the main lecture hall. About 4 wheelbarrow loads of compost are removed each year. A pick-up truck tank is used for transport to the nutrient recycling area.